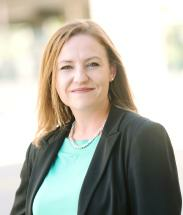 Erica Glass focuses her practice on estate planning and administration. She has extensive experience helping families plan for the future and helping them navigate the steps that need to be taken after a loved one passes away. Her experience also includes estate and gift tax preparation and administering guardianships. Immediately prior to joining the firm, Erica worked for a bank trust department for five years. She also worked previously at Coolidge for seven years. Erica earned her undergraduate degree in Finance from The Ohio State University. She earned her law degree from the University of Dayton.